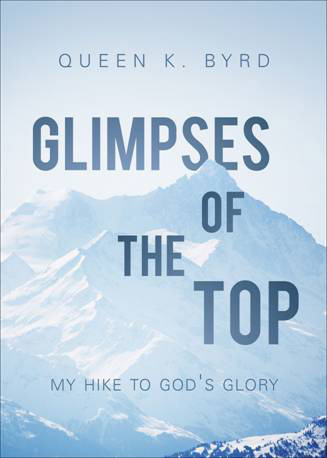 WEST PALM BEACH, Fla. – In her new book, “Glimpses of the Top: My Hike to God's Glory,” West Palm Beach author and evangelist Queen K. Byrd shares her incredible story. Byrd has survived the unthinkable: abuse as a child, being shot by a stray bullet, and what doctors called the stillbirth of her son. But through it all, she says God has never left her side. He was with her after she was shot, giving her a vision for a worldwide ministry. He was with her when she thought she'd lost her son, bringing him back to life after doctors worked on him for twenty minutes. And He was with her as she began to let go of the burdens of her past and walk freely in the grace He has given her. Named in honor of Queen Esther of the Bible, Byrd has also been called for such a time as this and hopes readers will be inspired to stop letting fear hold them back and to accept the call of God for their own lives.Published by Tate Publishing and Enterprises, the book is available through bookstores nationwide, from the publisher at www.tatepublishing.com/bookstore, or by visiting barnesandnoble.com or amazon.com. Byrd is a 66-year-­old retired mother of two, grandmother of five, and great-grandmother of one living in West Palm Beach, Florida. She is the founder of Healing Hurts Ministry, Inc., and the keynote speaker at many seminars. Her heart's desire is to give back to God all the glory and honor and praise He so deserves, to live holy unto God, and to fulfill the charge that God has chosen her to complete. Queen Byrd you are awesome & inspiring to all!! The angels in heaven done signed yo name. Love you!! Love You Joe McCoy & family!! Queen Byrd is a true woman of God,I read the book in it's entirety the first night that I purchased it.I would highly recommend that this book be purchased & read.You will be encouraged & Blessed.Also she is 61 years old & not 66. Your testamony is truely an inspiration!!! Thank you for being a blessing over so many lives. Fantastic book! Everyone needs a copy.